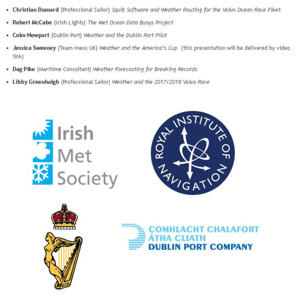 On the 23rd of November 2018, a one-day conference on the theme of “Weather & Sailing” was held at the Royal Irish Yacht Club in Dun Laoghaire, Dublin, Ireland. 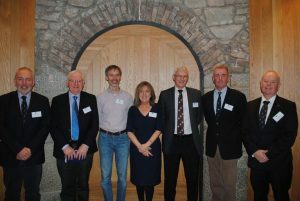 The conference was jointly organised by the Irish Meteorological Society (IMS), the Royal Institute of Navigation and the Royal National Lifeboat Institution (RNLI), with support from the Dublin Port Company. The nine invited speakers included sailors, meteorologists, and marine industry professionals; further details may be found here. 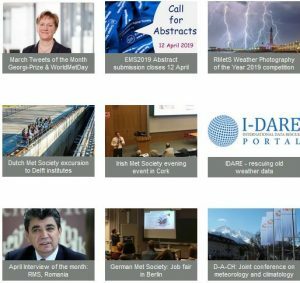 Over four sessions, the invited speakers covered topics ranging from the science of weather forecasting through to its practical application in commercial, professional and leisure marine activities. We learned that teams in the America’s Cups need incredibly detailed forecasts to aid decision-making on the yachts’ tailored design for that particular day’s racing. We were terrified by some of the meteorological challenges facing sailors in the Sydney-Hobart Race who may suddenly find themselves in the path of tornado-like water spouts. And recollections of Atlantic crossings undertaken in the dark at record-attempting powerboat speeds astounded those attending the conference. All-in-all it was a fascinating and varied day with something for everyone from the seasoned sailor and professional meteorologist to the amateur enthusiast. From left: Daryl Hughes (principal organiser of the event), Professor Ray Bates (Adjunct Professor of Meteorology UCD) Dr Conor Sweeney (IMS and UCD), Evelyn Cusack (IMS and Met Éireann), Declan Murphy (IMS President), Captain Colm Newport (Dublin Port Company), Pat Shannon (Vice Commodore RIYC). photo credit: Padraig McCarthy (RNLI).